While the participation of men and boys is critical to counter the effects of patriarchy, gender-based-violence, and gender inequality, men’s involvement is still limited. Only by transforming unequal power relations between men and women, and challenging traditional gender stereotypes, social norms and notions of masculinity, can gender equality be achieved. Men play a crucial part in this transformation. Join us for an interactive discussion with men who are engaged gender advocates to transform social norms, behaviors and gender stereotypes that perpetuate discrimination and inequality. They will share their experience and recommendations on how men and boys can creatively contribute to gender equality and women’s empowerment, and discuss how male leaders and activists can be more effective in moving the agenda forward. Ambassador Kai Sauer is the Permanent Representative of Finland to the United Nations, New York. Ambassador Sauer joined Finnish Ministry of Foreign Affairs in 1995 serving in a variety of capacities. Most recently he was the Ambassador of Finland to Indonesia, Timor-Leste and ASEAN and prior to this he was the Director of the Unit for UN Affairs for the Ministry for Foreign Affairs as well as Senior Adviser to the Special Representative of the Office of the Special Envoy of the Secretary-General of the United Nations for the future status for Kosovo. Ambassador Sauer holds a Master of Social Sciences from the University of Tampere in Finland and is a Knight, First Class, of the Order of the Lion of Finland. 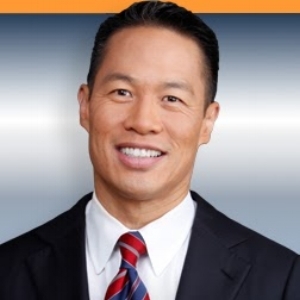 Richard Lui is an American journalist and news anchor for MSNBC and NBC News. He was formerly at CNN Worldwide. 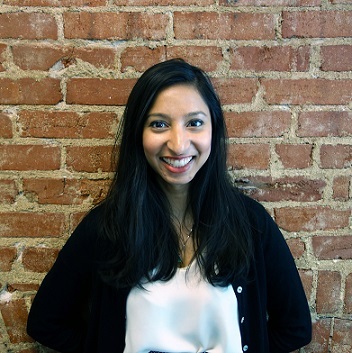 Lui's enterprise reporting has focused on humanitarian issues including gender equality, human trafficking, and affordable housing. His charity work in the same spaces has led him to work with Plan International USA as a global ambassador (alongside Freida Pinto, Marcia Gross) for its Because I am a Girl campaign. He also is a ambassador for the Epilepsy Foundation, and sits on the president's council for America's largest food source to the poor, Food Bank for New York City. Lui's work and reporting on humanitarian issues spans 30 years and six continents. He has received civil rights awards from organizations including AAJA, WWAAC, and OCA. Antonie de Jong is the Director of Resource Mobilization on the Strategic Partnerships Division of the United Nations Entity for Gender Equality and the Empowerment of Women (UN Women), a position he has held since 2010. While at UN Women, Mr. de Jong participated in two important outreach initiatives to combat violence against women, “Speak Out! Climb Up! Africa UNiTE to End Violence against Women” and the “Ride On! Speak Out!” initiative of the UNiTE campaign, both in 2012. From 2007 to 2010, Mr. de Jong served as Director of the Outreach and Business Development Team of the United Nations Development Fund for Women (UNIFEM), and as as Deputy Chief of the Resource Mobilization Branch of the United Nations Population Fund (UNFPA) from 2000–2007. Prior to that, he served as UNFPA representative in Haiti, with additional responsibility for the Dominican Republic. During that period, he chaired the UNAIDS joint programme on HIV/AIDS in Haiti and spearheaded a collaborative AIDS prevention campaign. Prior to that Mr. de Jong had a long career in the Foreign Ministry of the Netherlands, serving as a diplomat in the Foreign Service of the Netherlands in the Dutch Embassies in Lagos, Nigeria, and Bogotá, Colombia and at the UN Mission in New York. Mr. de Jong holds a Master’s Degree in geography from the University of Utrecht in the Netherlands and a Certificate in Diplomacy from the Dutch Ministry of Foreign Affairs. Aapta Garg is a Program Associate with Promundo. She leads the coordination of Promundo’s U.S. portfolio, working to implement programs related to engaging men and boys in violence prevention and transforming harmful gender norms. She previously worked at Vital Voices Global Partnership as Program Coordinator for Latin America and the Caribbean, coordinating the implementation of trainings, programs, and emergency assistance grants related to gender-based violence and human trafficking. Prior to her time at Vital Voices, she worked for four years as a Community Liaison and Legal Assistant at MFY Legal Services where she oversaw projects related to community development and advocacy on behalf of low-income New Yorkers. Aapta received her Master’s Degree in International Development with a focus on Gender and Development from American University’s School of International Service. Andrew Bettwy is a partner in Proskauer’s Corporate Department and a member of the Finance Group. Andrew is active in the Firm’s hiring, retention and diversity efforts. He is particularly involved in Proskauer’s Women’s Sponsorship Program (WSP), and has been since the program’s inception. The WSP aims to retain the Firm’s talented mid- and senior-level women lawyers by taking a proactive interest in their careers and providing them with the tools and support with which to assume leadership roles in the future. Andrew is among a distinguished group of senior partners who serve as advisors to women lawyers in the WSP. Jonathan Kalin founded Party With Consent to amplify the healthy voice of sexual violence prevention and promote healthy masculinities. PWC has been featured in The New York Times, TIME magazine, and The Atlantic, among many others. Jonathan frequently travels to colleges and high schools across the U.S. to discuss the philosophies behind PWC. He also teaches basketball with the goal of using the sport as a vehicle to coach boys into caring, empathetic men – most recently as an assistant coach at The Wheeler School in Providence and as basketball director at Camp Manitou in Maine. A 2014 graduate of Colby College, Jonathan majored in Philosophy. Outside of the classroom, he was a two-year captain of the Men’s Basketball team and President of advocacy group Male Athletes Against Violence. Pablo Freund is the Co-Founder and COO of Be Girl. He is a committed problem solver and social entrepreneur based in Brooklyn. Pablo is dedicated to combining design and sustainability with whole-systems approaches to create unique approaches that unlock unexpected and extraordinary potential. Joe Samalin is currently Senior Program Manager for Community Mobilization & Community Development with Breakthrough, a global human rights organization working to transform the culture of violence against women and girls. He has been working to address violence against women and girls since he was an undergraduate student. As an activist and organizer Joe has addressed domestic violence, sexual violence, street harassment, and stalking through trainings and programming across hundreds of communities in the U.S. and beyond.